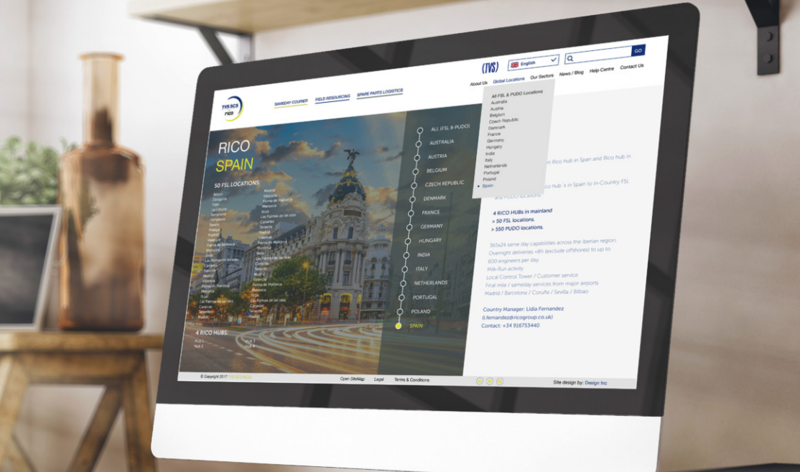 Design Inc are proud to have been the company behind the design & build of the new mobile-first website for TVS SCS Rico, (aka Rico Logistics, aka Rico Group) that will ensure all users benefit from an optimised user experience. With its head office in Slough and corporate offices in 16 countries worldwide, TVS SCS Rico is a logistics and technical services specialist, providing the ultimate in field service management solutions comprising cost-effective same day courier, logistics, and technology services throughout the UK, Ireland and Europe. Following its acquisition by TVS Logistics Service, Rico Logistics made the decision to fully rebrand. The name changed to TVS SCS Rico and a new corporate identity was unveiled. The next step was to upgrade their online presence to better promote its key services. They called upon web build specialist, Design Inc for support. It was quickly understood that the company could split their key offerings into there three main divisions, which were subsequently named: Same Day Courier, Field Engineering and Spare Parts Logistics. And, instead of building three separate websites, which had originally been discussed, we favoured keeping everything together under one domain. 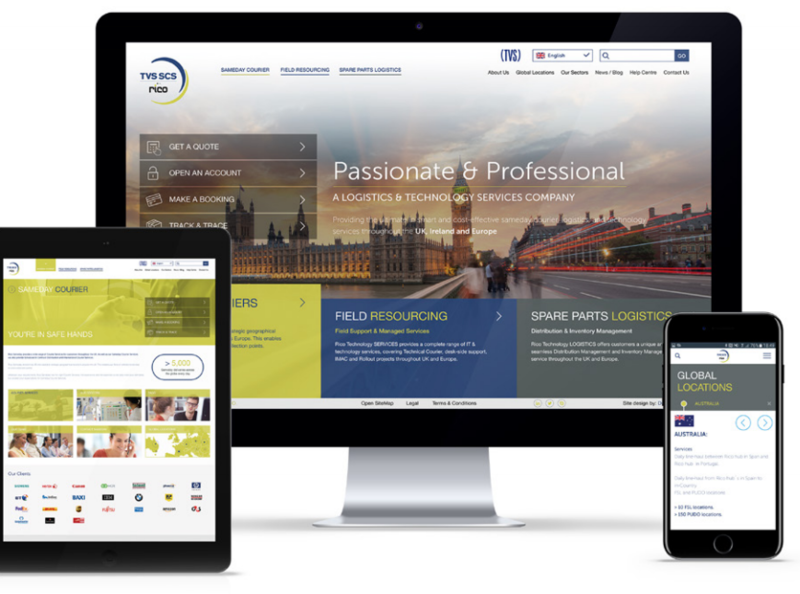 New imagery, content & colours schemes represented each division and were incorporated into the new responsive, website design template to help ensure the website was engaging, relevant and strongly positioned within the competitor landscape. Built upon a WordPress content management system, the website provides the company with much needed quick and flexible editing facilities. Search Engine Optimisation was key for this new site and a full SEO project was carried out, optimising all appropriate webpages accordingly. Additional input includes translations, Yoast SEO, GDPR compliancy, and is securely hosted upon the Design Inc cluster servers. Design Inc are an integrated agency, providing the full range of marketing solutions to companies from all industry sectors.